Edmund Tie & Company (Thailand) Co.,Ltd. DTZ is a global real estate adviser operating across Europe, Middle East and Africa (EMEA), Asia Pacific and the Americas. Global Reach: Our global HQ is based in London and every day, our international teams serve our investor, occupier and developer clients with a blend of unrivalled expertise and industry experience. Key strengths: In South East Asia, DTZ has a presence in all key markets, including Thailand, Malaysia, Singapore and Indonesia. DTZ has been present in Thailand since 2000 and our comprehensive service offering to clients across the region. 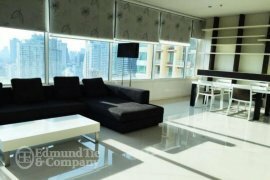 Condo for sale of 85sqm in Supreme Ville, consisting of 1 bedroom located at Lumpini, Pathum Wan.